I have a confession to make. As the owner, manager and breakfast cook in my own restaurant in Brisbane for 3 years I never learned how to make an Omelette. It seemed too difficult. I made a great Eggs Benedict, Wood Fired Breakfast Pizza and a lot of other dishes, but I always avoided the Omelette. After receiving a few good tips from Chef Cyrille I decided to give it a go one morning during our holiday in London. I am pleased to say that it went well and my 2 children loved it. It is not such a difficult dish to do after all as you will soon see. 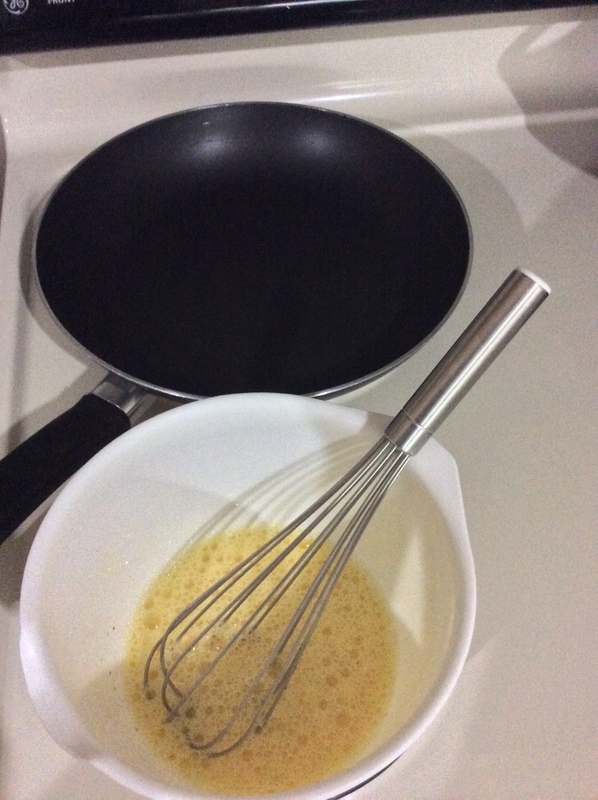 (1) There are many other wonderfully primed ingredients you can add to your omelette. Examples include tomatoes, caramelized onions, chives, spinach, ham, bacon, chicken and cheese to name a few. (2) Remember, omelettes are an all day item that can be enjoyed hot or cold, with a salad and/or vegetables, and for lunch and dinner too. (3) It is great to get your vegetables from producers you know and trust. I got my 2 bunches of kale from my friend Cathy Brillantes-Turvill of Nurture Spa. It was picked directly from their garden in Tagaytay. Visit the Nurture Spa website if you want to know more about their organic vegetables such as kale, Spa Treatments, Detox and Holistic Weight Loss packages, beautiful accommodation, corporate events or even a wedding reception. 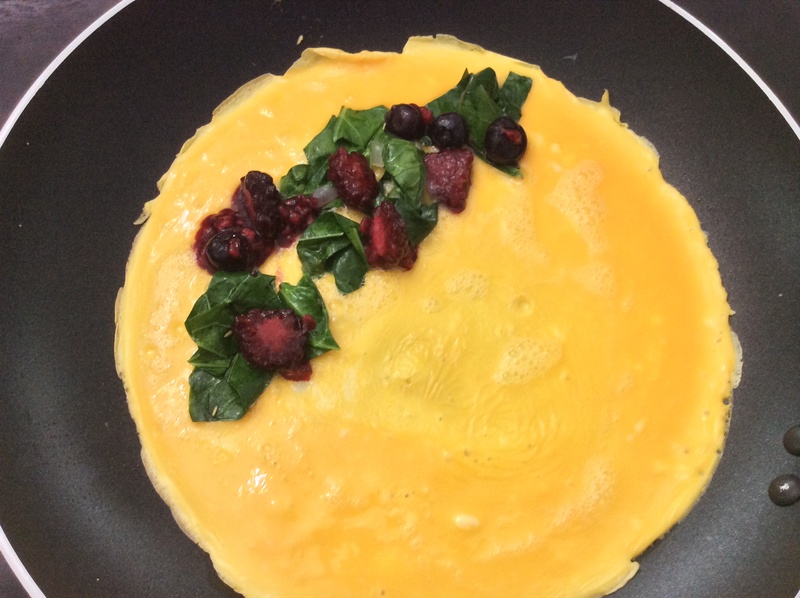 (5) If you just want vegetables and no fruit in your omelette simply see below and do not include berries. Our organic kale is from Nurture Wellness Village and frozen mixed berries from S&R.